October | 2008 | Watts Up With That? October 31, 2008 in Weather. October 31, 2008 in Announcements. 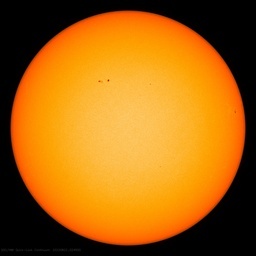 New essay claims- "Not to Worry: Solar Magnetic Activity for Cycle 24 Is Increasing"
October 31, 2008 in Science, Solar. October 31, 2008 in Climate_change, Ridiculae. October 30, 2008 in Science, Solar. October 30, 2008 in Weather_stations. October 30, 2008 in Climate_change, Science. October 30, 2008 in Weather. October 29, 2008 in Weather.